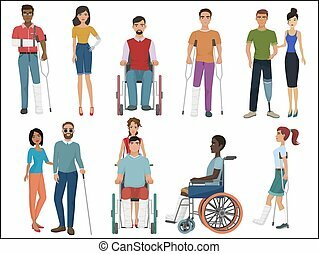 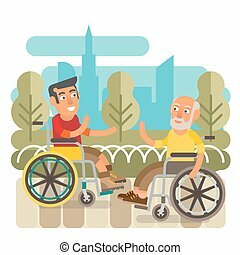 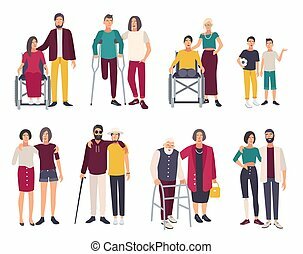 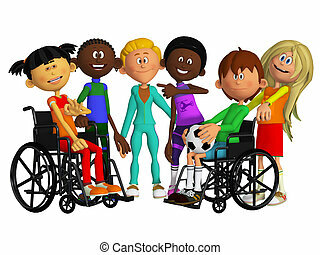 Disabled friends. 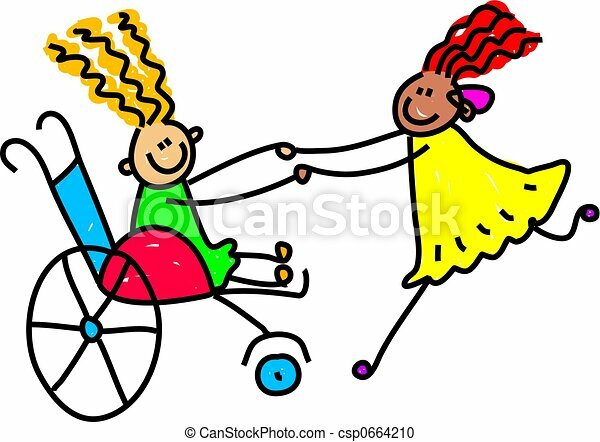 A little girl in a wheelchair and an ethnic girl with an hearing aid playing together - toddler art series. 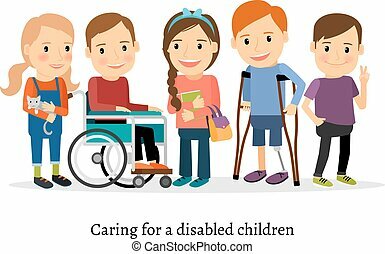 Girl in wheelchair sitting at table in canteen and talking to her friends. 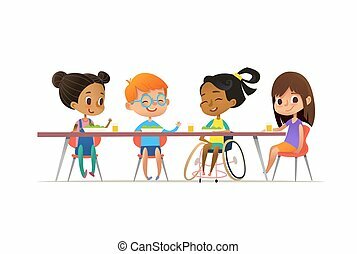 Happy multiracial kids having lunch. 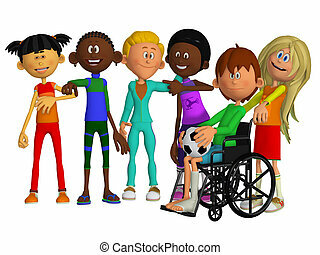 School inclusion concept. 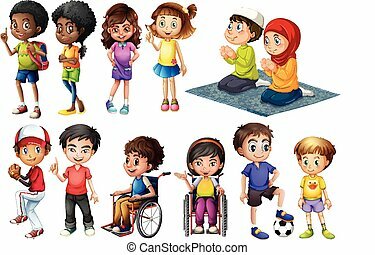 Vector illustration for website, advertisement, poster, flyer. 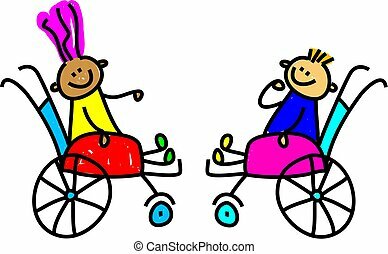 Two school girls at the library. 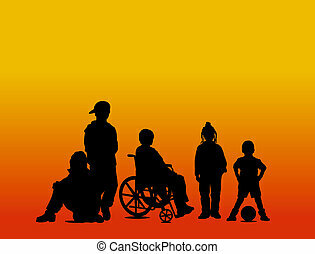 One is in a wheelchair. 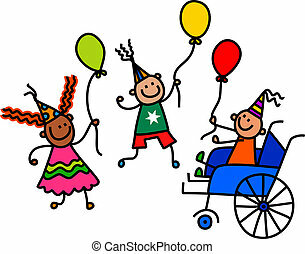 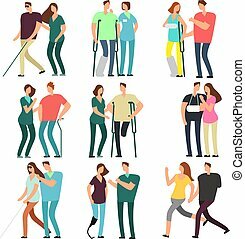 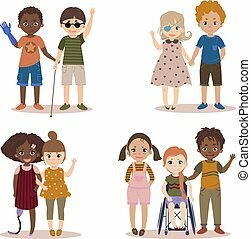 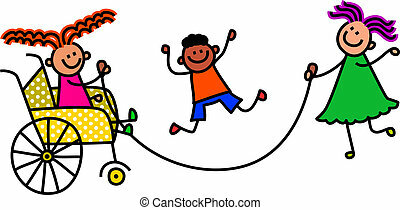 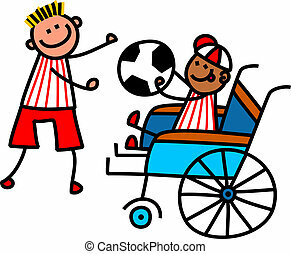 Whimsical cartoon illustration of a group of happy disabled children playing together. 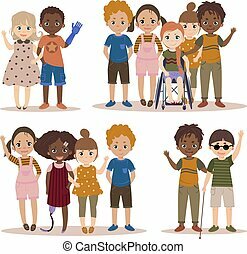 Whimsical cartoon illustration of a group of happy disabled children wearing super hero capes and playing together. 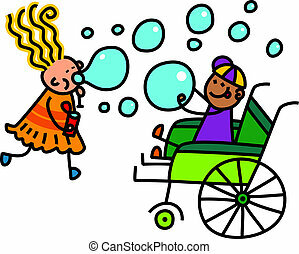 A doodle sketch of a little girl playing blowing soap bubbles for a disabled boy in a wheelchair. 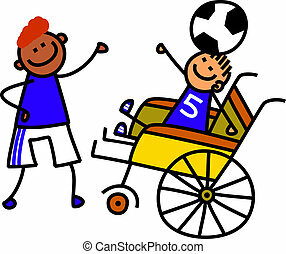 A doodle sketch of a happy little boy in a wheelchair holding a soccer ball with a able bodied friend. 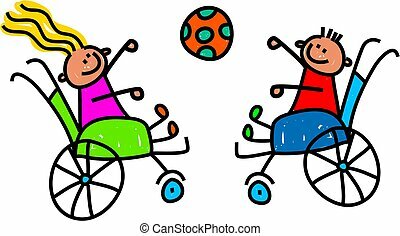 A doodle sketch of a happy little boy in a wheelchair balancing a soccer ball on his head with the help of an able bodied friend. 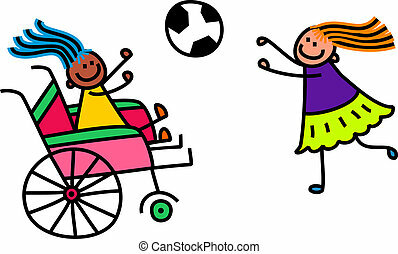 A doodle sketch of a happy little girl in a wheelchair playing a game of catch with an able bodied friend. 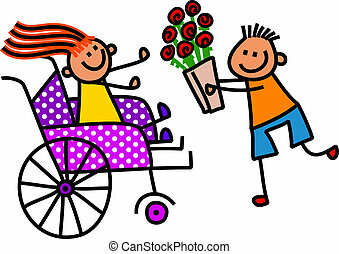 A doodle sketch of a little girl in a wheelchair receiving flowers from a boy. 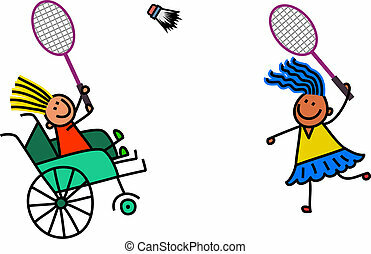 A doodle sketch of a happy little girl in a wheelchair playing a game of badminton with an able bodied friend. 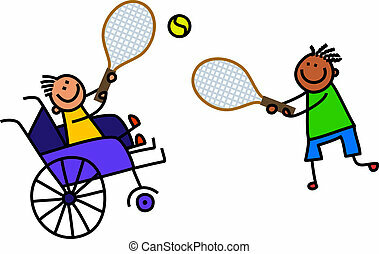 A doodle sketch of a happy little boy in a wheelchair playing a game of tennis with an able bodied friend.